Management determines its dividend policy by evaluating many factors including the tax impact on shareholders; the need to generate internal funds to retire debt, invest, or repurchase shares; and the desire to maintain a stable dividend level in the face of fluctuating earnings. Since the price of a stock depends primarily on the present discounted value of all expected future dividends, it appears that dividend policy is crucial to determining the value of the stock. 8 Benjamin Graham and Seymour Chatman (ed. ), Benjamin Graham: The Memoirs of the Dean of Wall Street, New York: McGraw-Hill, 1996, Chap. 11. 9 See Jeremy Siegel, "Capital Pigs," The Future for Investors: Why the Tried and the True Triumph over the Bold and the New, New York: Crown Business, 2005, Chap. 7. The management can, of course, influence the time path of dividends. The lower the dividend payout ratio, which is the ratio of cash dividends to earnings, the smaller the dividends will be in the near future. But over time, dividends will rise and eventually exceed the path of dividends associated with a higher dividend payout ratio. Assuming the firm earns the same return on investment as the investors require from the equity, the present value of these dividend streams will be identical no matter what payout ratio is chosen. A simple example should illustrate this proposition. Assume a company's stock is selling for $100 per share and earns 10 percent, or $10 per share each year, which, given its risk, is equal to the return investor's demand on its stock. If it paid all its earnings as dividends, it would pay $10 per share every year into the future. This stream of dividends, if discounted at 10 percent, yields a $100 share price. 10 Differential taxes between capital gains and dividends are an exception to this rule. 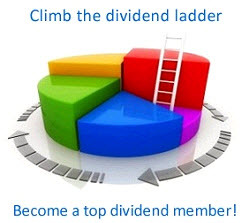 If taxes are higher on dividends, a high-dividend policy will reduce the value of shares. 11 Firms that pay no dividends, such as Warren Buffett's Berkshire Hathaway, have value because their assets, which earn cash returns, can be liquidated and disbursed to shareholders in the future. 12 John Burr Williams, The Theory of Investment Value, Cambridge, Mass. : Harvard University Press, 1938, p. 30. If instead the company did not pay a dividend but invested its earnings in assets whose return is the identical 10 percent, the value of the company would remain the same. Yet its earnings would grow to $11 per share in the second year, $12.10 in the third, and so on. The present value of these per share earnings, discounted at a 10 percent rate of return, is infinite—clearly a nonsensical value for the firm. This is because discounting earnings that are not paid out as dividends is wrong and overstates the value of the firm. Under the assumptions given, the firm is always worth $100, whether the firm reinvests the earnings at a 10 percent rate of return or pays dividends to the shareholders. The assumption that the firm earns the same rate of return on its retained earnings as the market demands on its stock is a strong one, despite the fact that it is often assumed in capital market theory to result from optimal investment behavior of the firm. But the firm does not always invest optimally, as the previous section suggests. Frequently management engages in expenditures that have a lower return, and in that case a policy of paying dividends will result in higher returns to shareholders.